The Human Language Processing (HLP) Lab at the University of Rochester is looking for a post-doctoral researcher interested in speech perception and adaptation. Possible start dates for this 1-3 year position range from mid August 2014 to mid June 2015 (the current post-doctoral researcher funded under this grant will leave HLP lab in late August to start a tenure-track position in Psychology at the University of Pittsburgh). International students are welcome to apply (NIH research grants are not limited to nationals). We will start reviewing applications mid-June 2014 though later submissions are welcome. Applications should contain (1) a cover letter clearly indicated possible start dates, (2) a CV, (3) research statement detailing qualifications and research interests, and (4) 2 or more letters of recommendation. Applications and letters should be emailed to Kathy Corser (kcorser@bcs.rochester.edu), subject line “application for post-doc position (HLP Lab)”. This entry was posted in For students, HLP lab and tagged adaptation, fMRI, hierarchical predictive systems, implicit learning, inference, language comprehension, phonetic adaptation, post-doc, predictive coding, psycholinguistics, sentence processing, speech perception. We’ve just submitted a perspective paper on second (and third and …) language learning as hierarchical inference that I hope might be of interest to some of you (feedback welcome). Figure 1: Just as the implicit knowledge about different speakers and groups of speakers (such as dialects or accents) contains hierarchical relations across different language models, the implicit knowledge about multiple languages can be construed as a hierarchical inference process. Pajak, B., Fine, A.B., Kleinschmidt, D., and Jaeger, T.F. submitted. 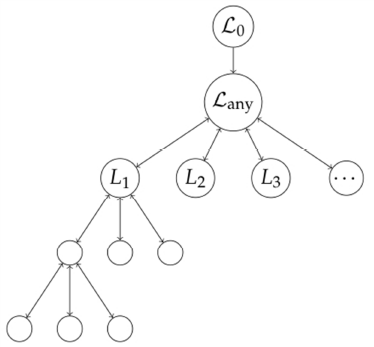 Learning additional languages as hierarchical probabilistic inference: insights from L1 processing. submitted for review to Language Learning. This entry was posted in articles, Papers, Presentations, etc., Preliminary, Results and tagged adaptation, implicit learning, learning, second language acquisition, sentence processing, speech perception, third language acquisition. Qian, T., Jaeger, T. F., and Aslin, R. 2012. Learning to Represent a Multi-Context Environment: More than Detecting Changes. Frontiers in Psychology 3. Fine, A. B. and Jaeger, T. F. in press. Evidence for implicit learning in adult language processing. Cognitive Science. The first paper by Ting Qian is an opinion piece on learning and theories of learning in a world in which evidence is presented sequentially and where deviations from the expected always carry with them ambiguity about the cause of such deviation. So, how do learners figure out how to construct sufficiently adequate (i.e. good in coverage, though not necessarily accurate in terms of assumptions about the causes) causal theories of the world? This entry was posted in articles, Papers, Presentations, etc. and tagged Fine, implicit learning, non-stationarity, Qian, sentence processing, sequential learning, syntactic priming. Masha Fedzechkina(BCS, University of Rochester) will present evidence that language learners are biased to reduced the uncertainty in the mapping from form to meaning. Her work is comparing the acquisition of miniature languages with and without case-marking in terms of to what extent learners tend to regularize or even fix variable word orders for these two types of languages (Fedzechkina, Jaeger, & Newport, 2011). Together with other recent work (e.g. by Newport, by Culbertson), this work provides evidence that language learners deviate from the input provided to them in a predictable manner. In this case, we designed the experiment to directly test the functionalist claim that language learners are biases towards acquiring languages that support communication (cf. Bates and MacWhinney’s early work). Hal Tily (BCS, MIT) will present work employing a novel web-based artificial language learning paradigm, in which hundreds of participants can be run within a matter of a few days. Using this paradigm, we first replicated and extended a well-known study on determiner learning (Hudson Kam and Newport, 2004) and then investigate to what extent cross-linguistically observed quantitative patterns in argument and determiner order are replicated by language learners. We discuss how this paradigm will facilitate further tests of typological generalizations (Tily, Frank, & Jaeger, 2011). This entry was posted in articles, Papers, Presentations, etc. and tagged adaptation, cogsci, Farmer, Fedzechkina, Fine, Hilliard, implicit learning, language acquisition, phonological encoding, psycholinguistics, sentence processing, sentence production, syntactic priming, Tily.